I hate it when my towels start to feel crusty and old. Buying all new towels can really be expensive. No need when can just make them feel like new with just a few easy steps. How do I make my towels soft again? Instead of buying new, try to freshen the towels up with these 5 tips. 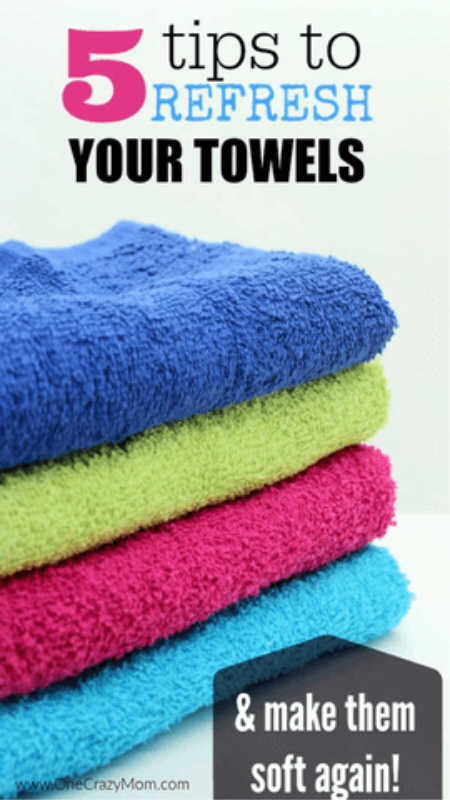 You will be amazed how easy it is to make your old towels soft and fluffy again. How can I soften old towels? Get started with these 5 easy tips to make your old bath towels soft and new again! The first way we can make our old towels like new is by looking at our old friend plain white distilled vinegar. Just toss your towels into the washing machine with a single cup of white vinegar and let it run. You will love the results just when you add a cup of vinegar! If the vinegar scent is too much for you, just put the towels through another wash without the vinegar or another rinse cycle. Make sure you read my post on clever ways to use vinegar to save you money. The second way you can have softer towels is a rather old-fashioned method of drying your clothes. Just wait around for a nice, windy day and hang your clothes out on a clothesline outside. Try mixing this drying method with the vinegar washing method; it just might make your towels even softer! This is perfect with summer just around the corner. In fact, I do this with our beach towels all the time. This next method is a little unorthodox, and it doesn’t involve washing or drying. Go and grab a big brush, maybe you can clean off your dog’s expensive pet-brush or you can grab the giant styling brush you got for your birthday, and lay your towel flat on a bed. Using long strokes in one direction, brush the entire side of your towel, flip it over, and brush it again. If you did it right, your towels should be as soft as the day you bought them home. Yep – Baking Soda. It is always there when we need you, especially when our towels have become stiffer than we could imagine. You can soften your towels with baking soda by mixing roughly a cup of baking soda in with your detergent before running the washing machine. As an added bonus, considering baking soda’s reputation for making anything smell good, those sweaty, smelly towels will smell wonderful once again. Make sure you also read our post on ways to use baking soda and vinegar together. You will love having fluffy towels vinegar and baking soda in the wash.
Now, this one may sound a little weird but it’s proven to be effective. Go out to your local sports supply store and buy a few tennis balls, and toss them in with your towels. The slight bouncing of the balls will knock out lumps and fluff your towels a slight bit (You’ll still have to do some fluffing but, hey; they just softened up your towels for you…). If you’re willing to shell out a little bit more money, you can always go out and buy a couple of dryer balls for even softer towels. Dryer balls are not as expensive as you might think. Now you know how to soften towels without fabric softener! 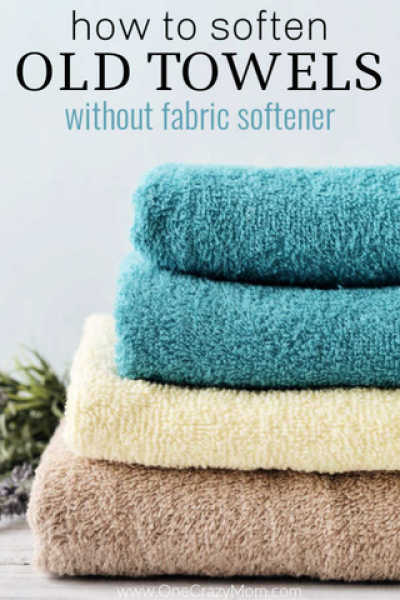 Get started and see how easy it is to have soft and fluffy towels again! 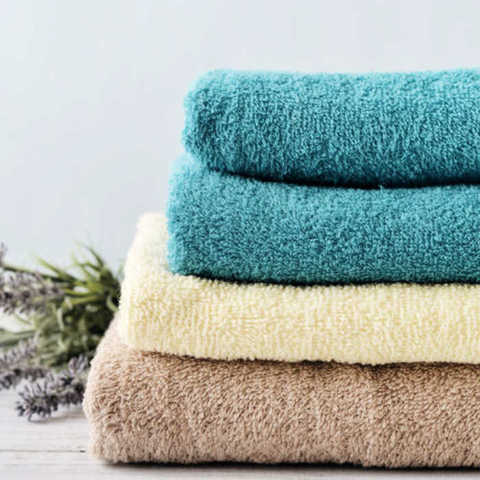 No more scratchy towels, wash towels in hot water and use these tips to have towels feel new and towels soft to use again. 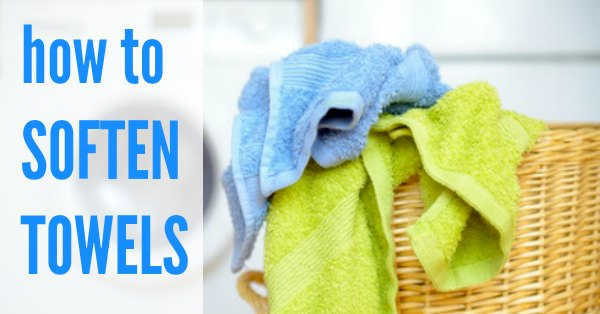 It is so easy to run the wash and put the towel in for these 5 easy steps. An added bonus is money saved because you can use your old towels even longer. Dry towels will be soft and fluffy! 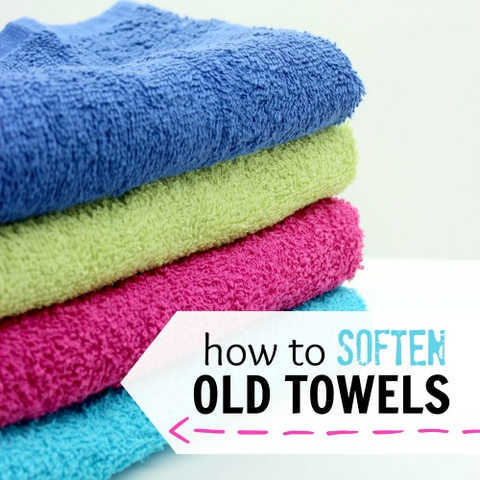 These are the best way to soften towels! You can also use these easy tips if you want to know how to soften towels in front loader. How do you stop towels from going hard? A lot of times, the type of water you have can contribute to your towels becoming hard. Other times, it is simple just old age. Detergent and fabric softener can often cause build up that contributes to hard towels over time. Thankfully, it is easy to freshen them with just a few easy steps. I thought I would share with you how to remove the mildew smell from towels. It is super easy! Again.. vinegar is your friend! How to get Rid of the Mildew Smell easily with one ingredient. What are your tips on how to soften towels naturally? Do you have any extra tips to get those old towels feeling like new? Don’t throw old towels out, learn how to soften old bath towels! Now that you know how to get towels soft and fluffy again, try some of these other easy ideas! We love to save money and these tips are all budget friendly and easy to do.